The hot season is now upon us, meaning it is the time for more refreshing treats. Nothing says more refreshing than a cold nice cool cocktail. From sweet to dry, hot to icy or stirred to shaken, cocktails can be enjoyed anywhere and at any time of the day. Hello and Lamb Brand have teamed up this summer and are giving away a fantastic Summer Goody Bag! This Summer Goody bag consists of a variety of 4 juices and drinks from the Hello range, 2 Lamb Brand Snack trays, a Hello Beach Towel, all packed in a Hello cooler. This goody bag is definitely all you will need if you will be heading to beach or for a relaxing time with your family and friends. 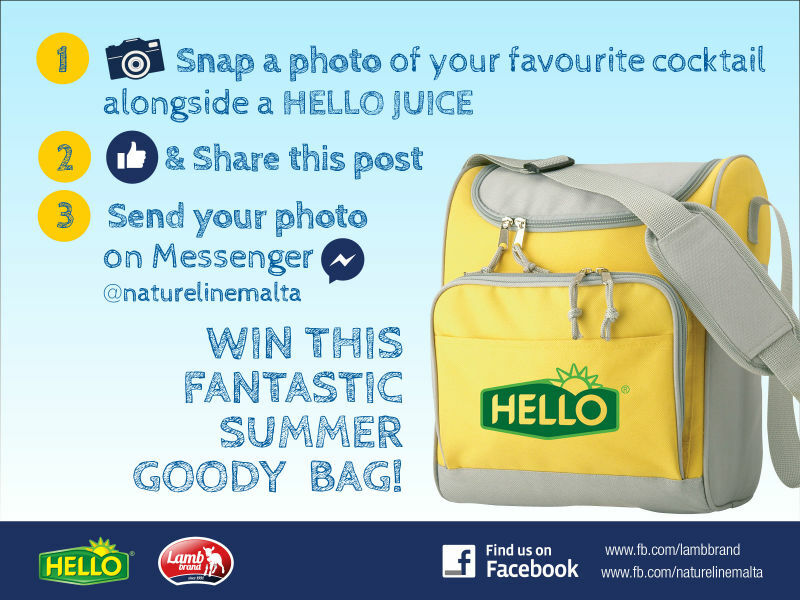 All you have to do is to send us a photo of your favourite cocktail mix on Nature Line’s Facebook page, together with any Hello Juices flavour and this Goody Bag can be yours! A Number of winners will be selected every week! Yes, that’s right…every week we will be giving out this fantastic goody pack. So what are you waiting for? 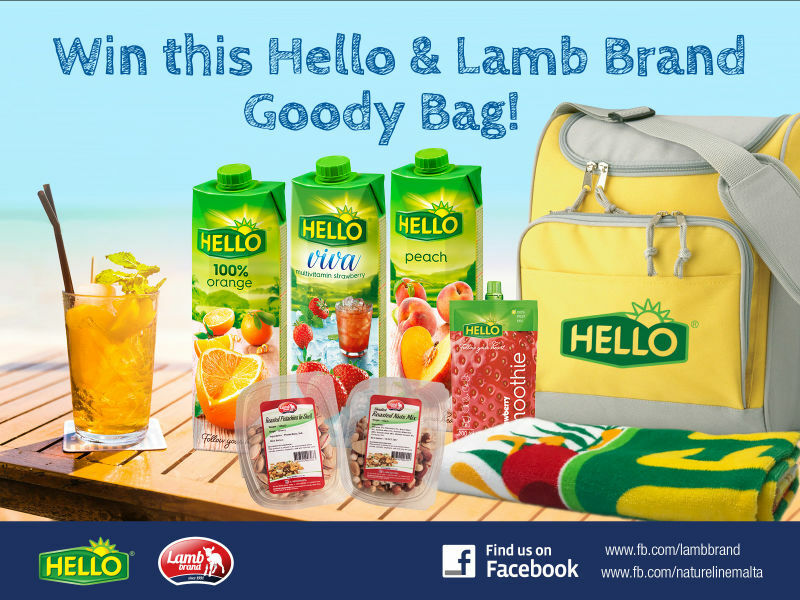 Whether you are at the beach, or by the pool, or maybe even chilling out in your veranda, send us your cocktail photo today and you will be in the chance of winning this Hello & Lamb Brand Summer Goody Bag!